You might be wondering, Why grow a garden? I can just buy everything at the store. Plus, who has the time? These are all important questions that I will address later on. A flower garden is fine, but it really adds to your home or balcony when you have something besides flowers lining your lawn. I prefer to have a raised garden. 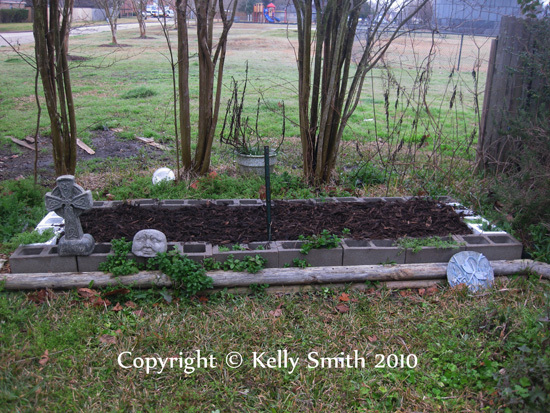 A raised bed garden looks nice and is much easier to keep up. Weeds have a harder time growing and I dont have to hurt my back bending over since the garden is raised 2 feet off the ground. Creating a raised garden is simple to do. One easy way is to simply use concrete cinder blocks as illustrated in the photo to the right. At about $2.00 per block, its a steal. Or, you can use four wood planks, some screws, and someone with a general knowledge of carpentry to get the job done. Although if you dont have anyone who is handy with a set of tools, its easy to find prefabricated raised gardens online. They are not too expensive and you can probably get a discount with coupon codes by searching Google. Got the bed built? Theres one more step to take before you decide what to plant and buy your seeds or bedding plants. Its time to prepare your garden soil. This step is crutial. Sure, I could go on about eating healthy and all that (and I will later) but one of my favorite things about having my garden is growing and maintaining it. It might seem cumbersome at first to water every day and keep the area free of weeds, but once you start to see little sprouts coming up you will begin to look forward to those times when you have to check on your garden. The feeling is rounded off once you begin pulling up turnips and cutting up lettuce for your homemade salads. When I sit down and enjoy the spoils of my labor it makes the meal all the sweeter. Cost is a huge issue when people are trying to satisfy every food group on the food pyramid, and vegetables are no exception. Vegetables can cost 50 cents to dollars per pound at the market, but a packet of seeds can also be 50 cents and last you all summer. And for just a few cents more, even Walmart now carries seeds that are Organic Certified. Also, store-bought food has to be marked up on the shelves to make up for the amount of shipping, refrigeration, and manpower it takes to keep it on the shelf. Seeds can last for years and are incredibly easy to ship. 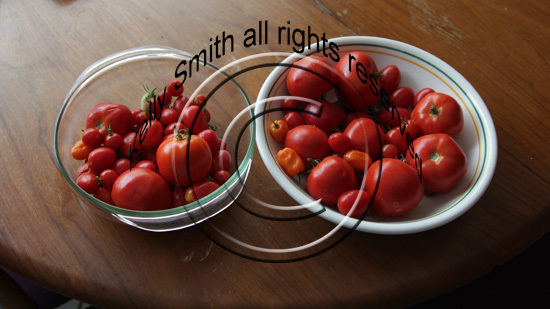 Buying seeds is a money-saving method and it is just plain smart to buy seeds and grow food yourself rather than buying vegetables already grown. When it comes down to it the main reason for a garden is its vegetables. Just simply having vegetables outside your back door will make it easier to include them into your daily diet. Everyone knows vegetables are good for your health, but buying from your local grocery store has its drawbacks. When buying from a grocery store you arent entirely sure when the food was harvested. A bag of lettuce could be sitting on a shelf for days while the same produce can be picked from your own garden on the same day. With a grocery store, a vegetable has to be harvested, packaged, put on a truck, and shipped to your town before you can buy it where it could sit in your refrigerator for even longer. One good example is the ubiquitous tomato. When they are not in season in your neck of the woods, they must be picked green somewhere else in the world and shipped to you. Sure they redden up, but that ripened-on-the-vine flavor never really develops. Another problem I have with store-bought vegetables is their use of chemicals. I can't be 100 percent sure if the pesticides and agro-chemicals wont affect me. With a personal garden I know exactly where my vegetables came from. My name is Gary Ladner and I have been growing my own vegetables for a number of years now. It may seem time consuming, but once you get started it becomes somewhat of an addiction. Do you have a garden already or have any gardening questions or tips? Feel free to leave a comment below! Swiss Chard — Nutritious Greens or Ornamental for the Flower Garden?